How to check health or status of any online Web Service API? If you are a developer who works a lot on APIs, then you must have realised how frustrating it gets when you can not get responses from a particular API. At times you might end up thinking that you are going somewhere wrong with your code and the API is fine and stable. But, that might not be the case and you can not always rule out the possibility of the API behaving erratic. In this article we will tell you about a webservice that monitors the health of almost all online APIs. 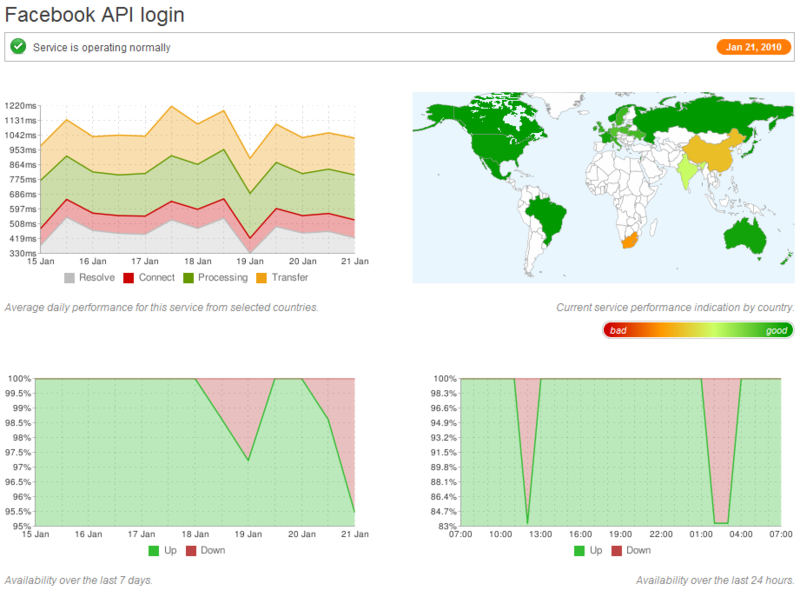 The service is called API Status Monitor and similar to Google's Service Status monitor and can be found at: http://api-status.com/. It currently monitors over 30 useful APIs such as Amazon AWS S3, bing search API, bit.ly shorten API, Delicious update API, Digg API, eBay shopping API, Facebook API login, Flickr API and many more. Here is a screen shot of the general Status feed. You can click on the respective API links to get detailed status info. 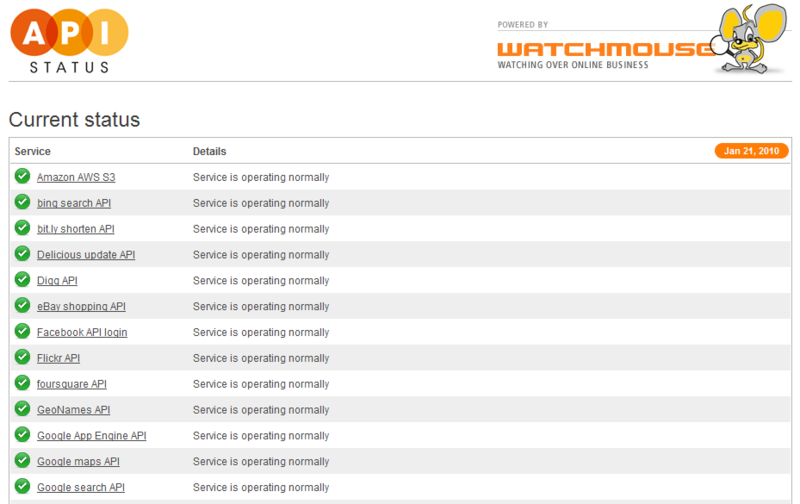 Here is a screenshot of the detailed reports of any particular API health info or Status.